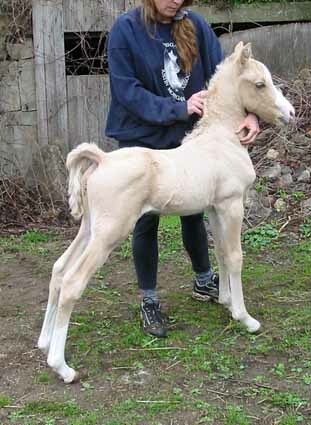 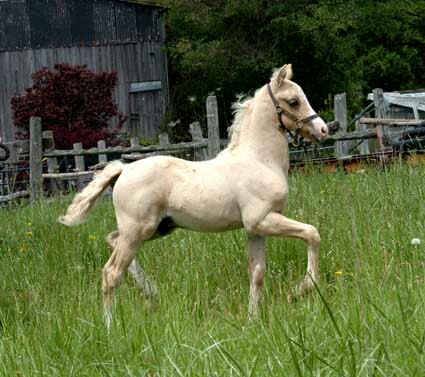 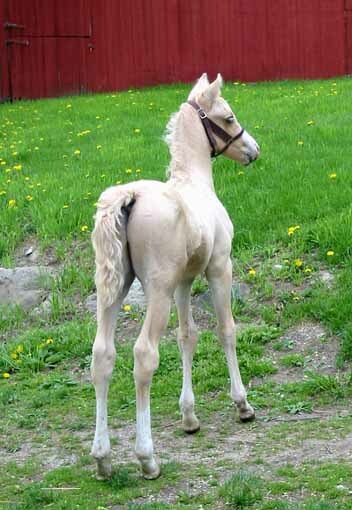 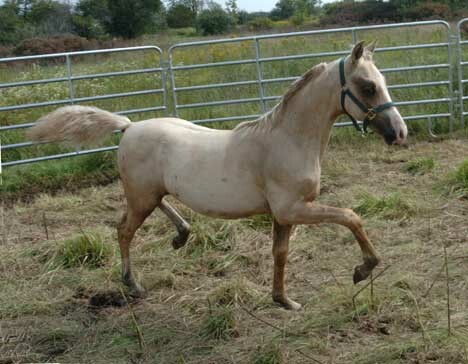 What a stunning palomino colt we got with this cross again this year! 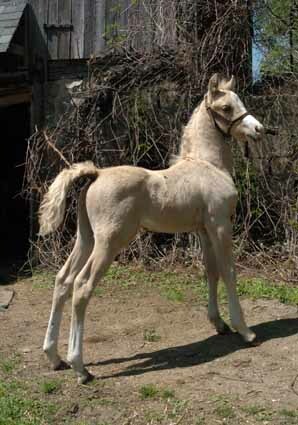 He has a striped face on a beautiful head, a wonderfully laid back shoulder, long legs, a great hip, and two lovely rear matched stockings to set him off. 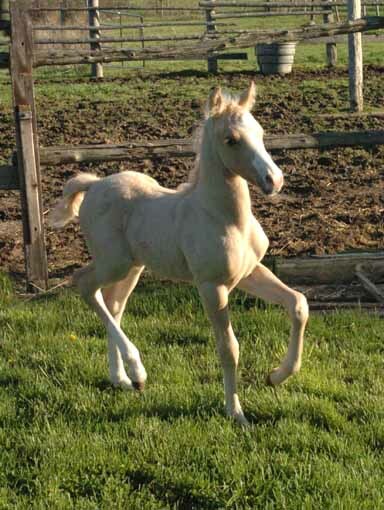 He is beautiful! 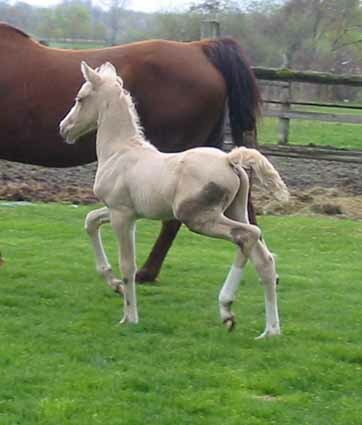 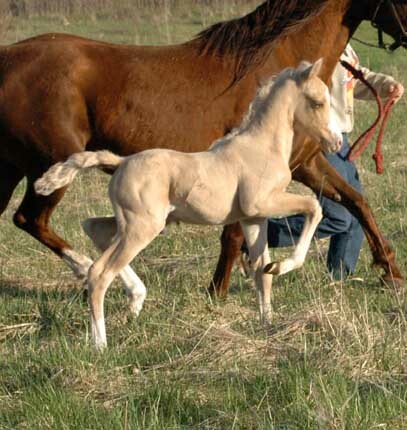 His dam, a beautiful Pleasure Driving and In Hand mare, did it again by blessing us with another outstanding palomino foal! 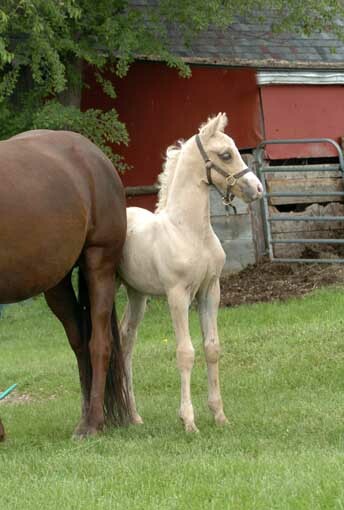 We couldn't be happier or more excited! 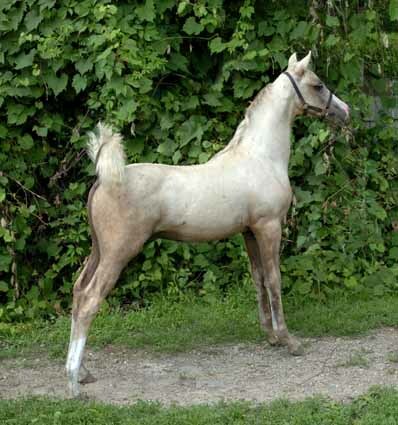 He is a full sibling to the stunning Ancan Primary Colors, whom arrived in 2005 and promptly sold before she was a month old. 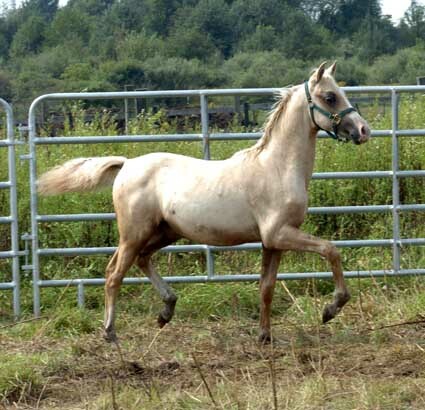 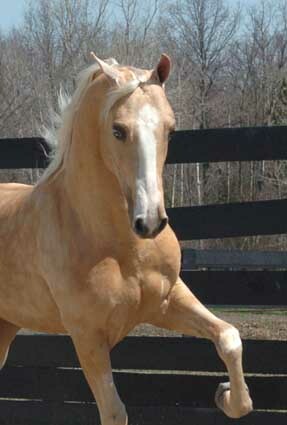 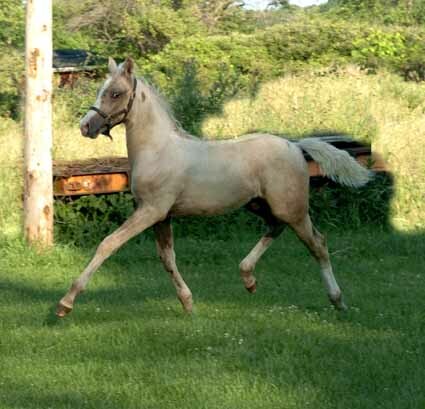 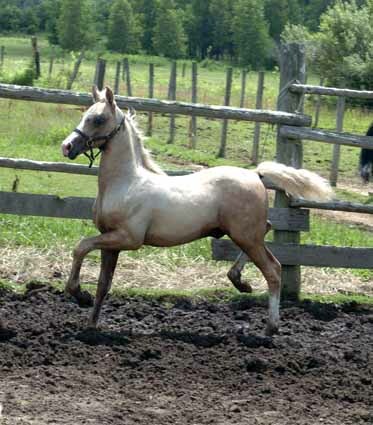 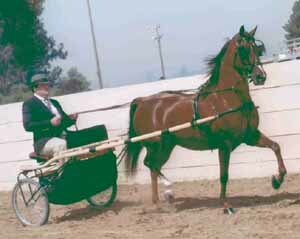 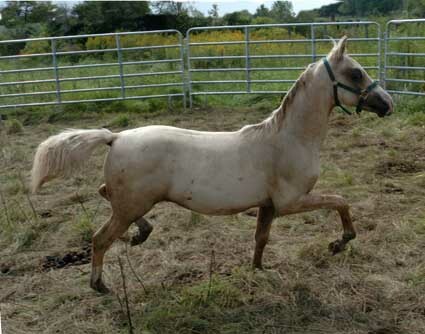 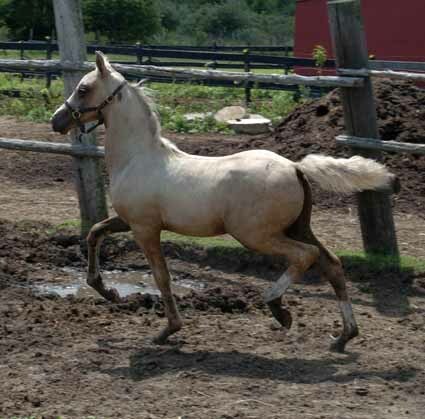 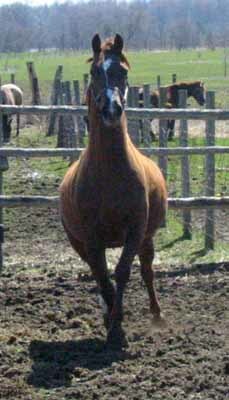 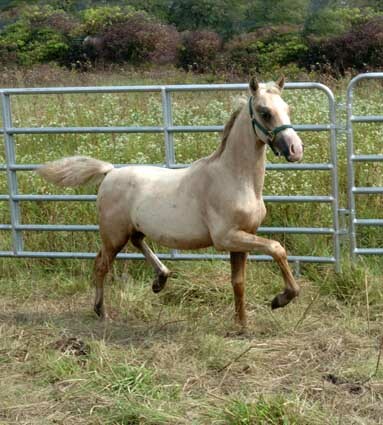 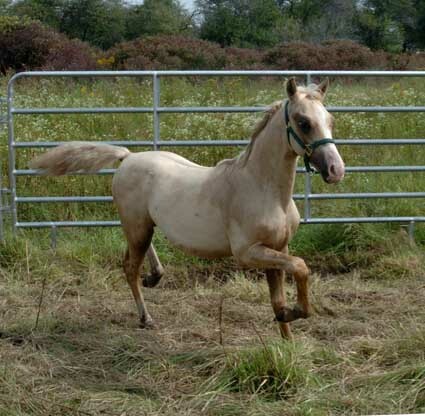 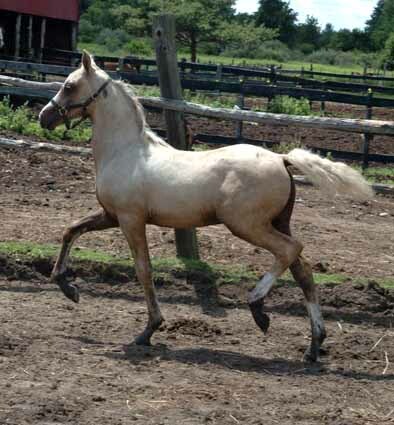 His sire is our beautiful and kind palomino in hand and harness champion. 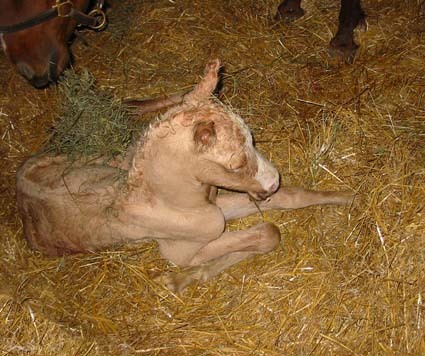 He is certainly proving to be very strong in the breeding shed as he definitely stamps his foals. 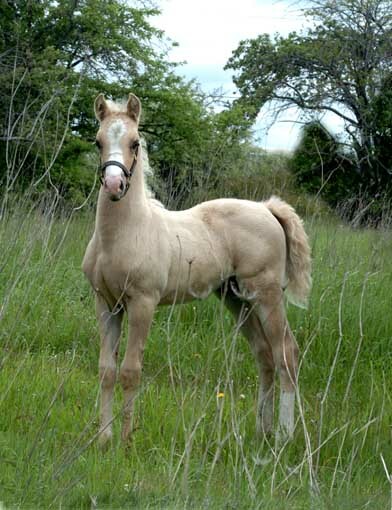 This high headed and gifted youngster is sure to follow in his hoof prints. 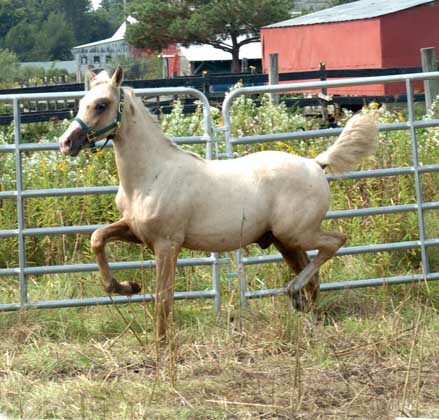 "Dillon" is a wonderful opportunity to substantially re-coup your investment as he will be successful not only in the show ring, but the breeding shed as well. 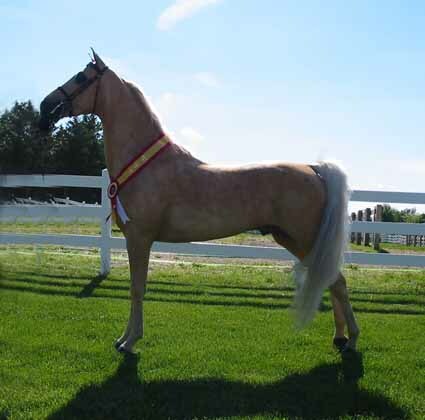 Colorful show horses have begun to drawn a huge fan club and quality ones are commanding top dollar. 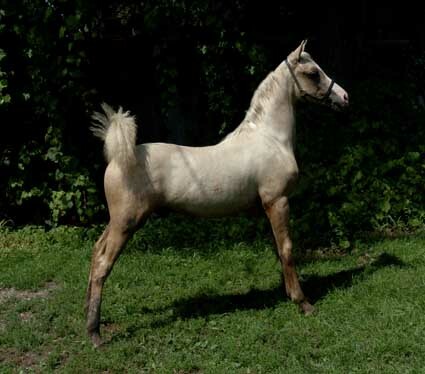 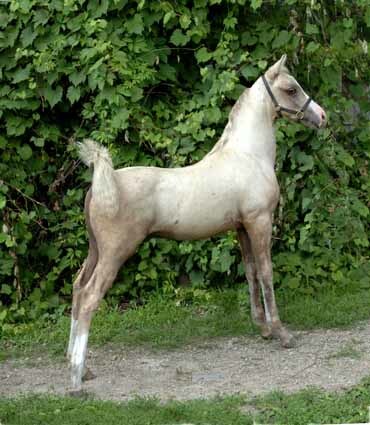 For the show-breeding this colt offers on the top and bottom of his pedigree, you will be hard pressed to find many of his quality and talent alive, let alone for sale.